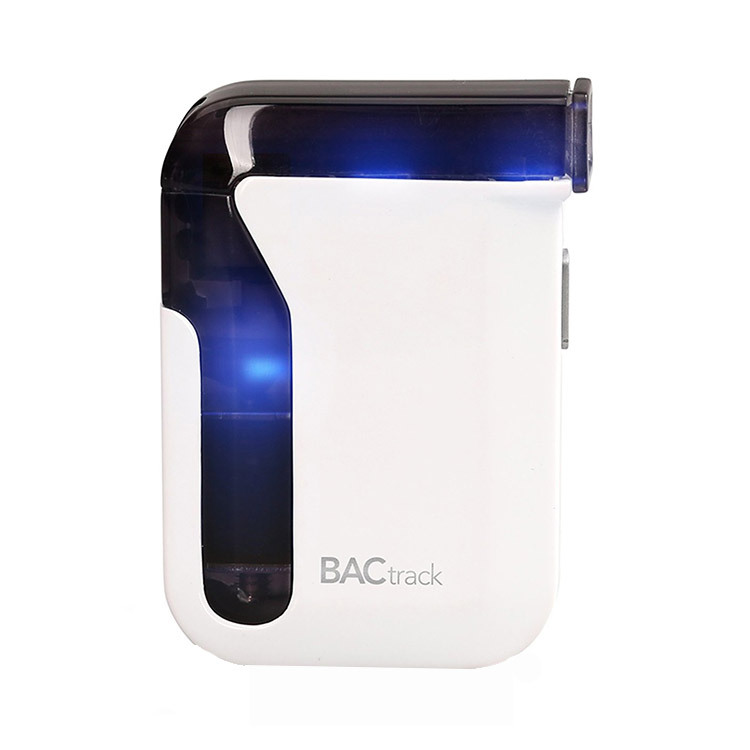 The BacTrack Mobile breathalyzer features a very accurate fuel cell sensor and an ultra-compact form factor. 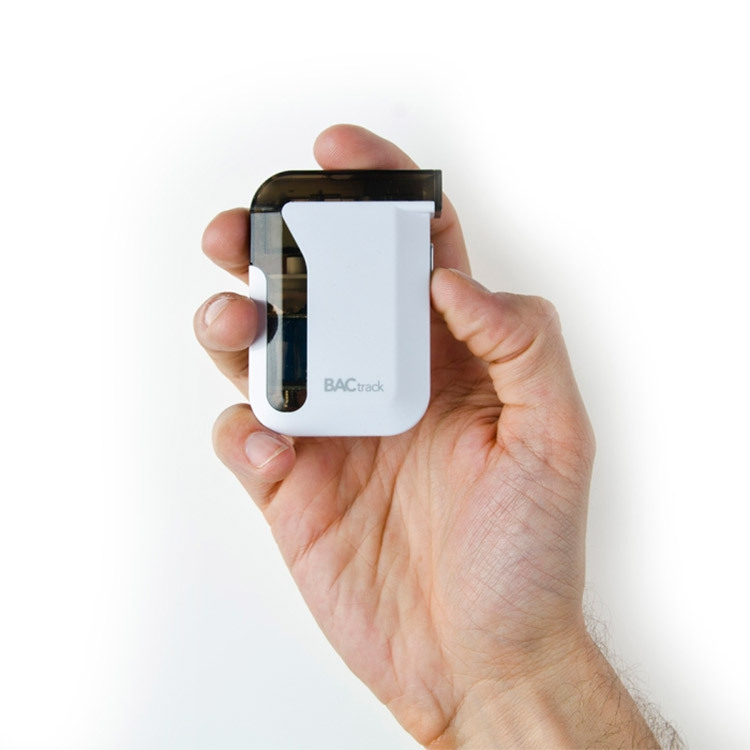 Easily pair this device with an Apple iPhone, iPad or iPod touch and have the results wirelessly sent via Bluetooth. The device features an integrated micro air pump that delivers a precise quantity of air to the sensor to ensure accurate test results with every use. 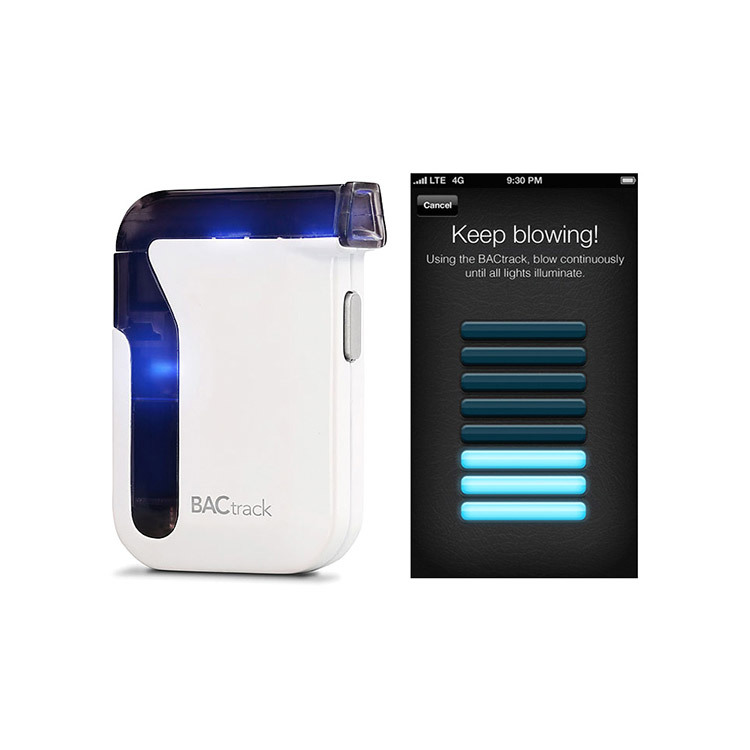 After connecting the breathalyzer with your mobile device, you can easily access a number of features like BAC tracking and drink consumption with the free app. 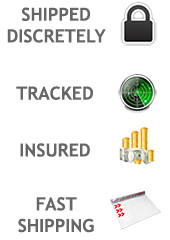 This is a perfect mobile solution for consumers that are looking for a portable device that delivers accurate and reliable test results. Connect to your apple iPhone, iPad and IPod Touch via bluetooth. 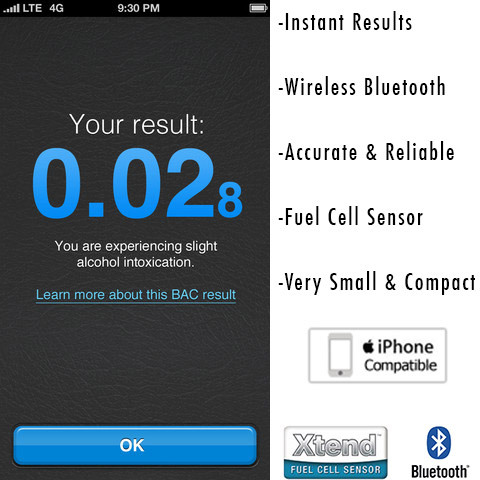 Accurately measure your blood alcohol content wirelessly. The internal air pump and fuel cell sensor provide very accurate and consistant results. Wide test range: 0.00 - 0.400 %BAC. Capture photos of your favourite drinks, and share them with your friends. Size (WxHxD) 1.75" x 2.75" x .63"